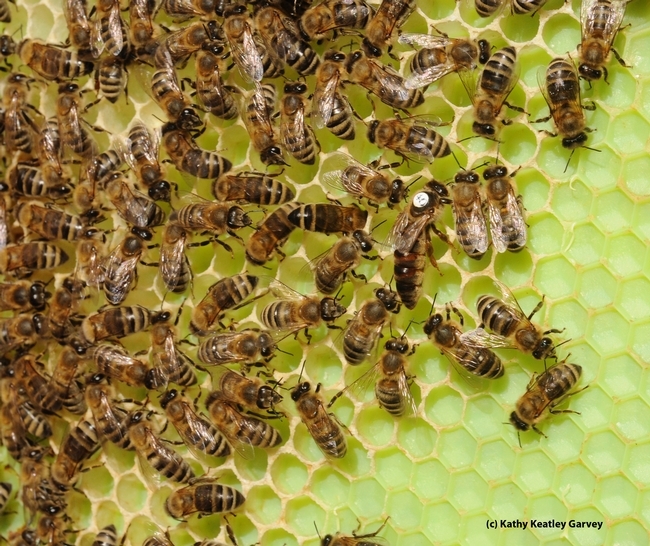 National Honey Bee Day 2018: Brush up on your knowledge of bee protection. 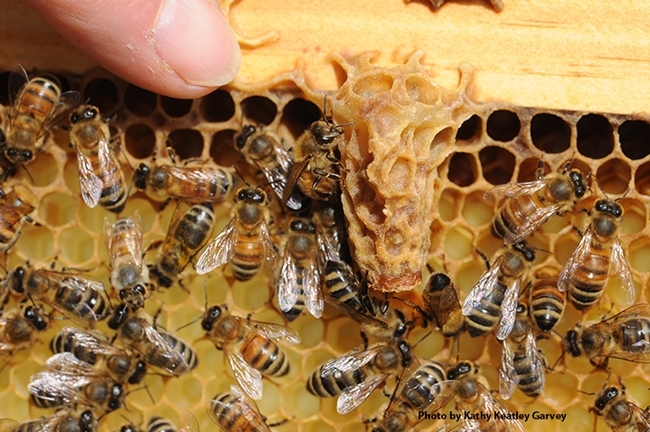 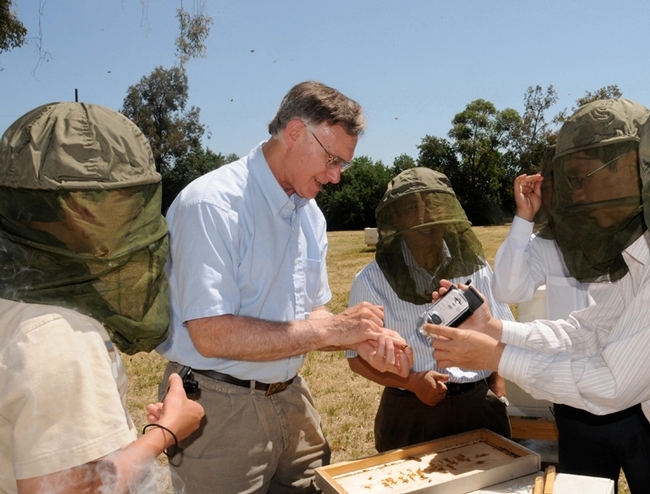 Celebrate National Honey Bee Day by brushing up on your knowledge of bee protection—check out the newly revised Best Management Practices to Protect Bees from Pesticides and Bee Precaution Pesticide Ratings from UC IPM. 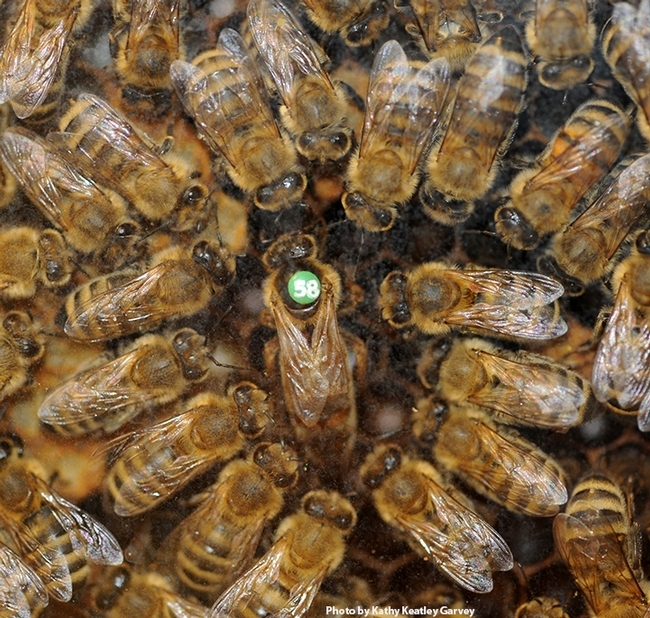 These resources will help you strike the right balance between applying pesticides to protect crops and reducing the risk of harming our most important pollinators. 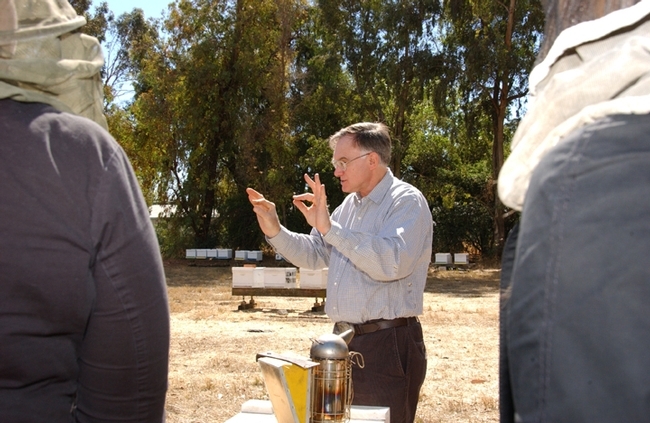 The best management practices now contain important information regarding the use of adjuvants and tank mixes, preventing the movement of pesticide-contaminated dust, and adjusting chemigation practices to reduce bee exposure to pesticide-contaminated water. 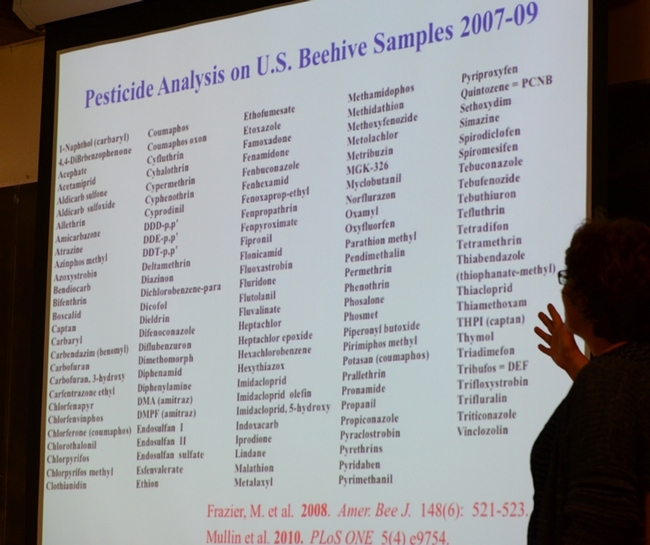 The Bee Precaution Pesticide Ratings have also been updated to include ratings for 38 new pesticides, including insecticides (baits, mixtures, and biological active ingredients), molluscicides (for snail and slug control), and fungicides. 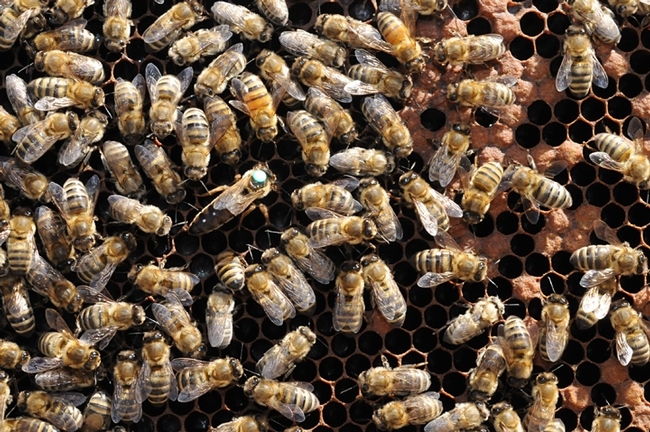 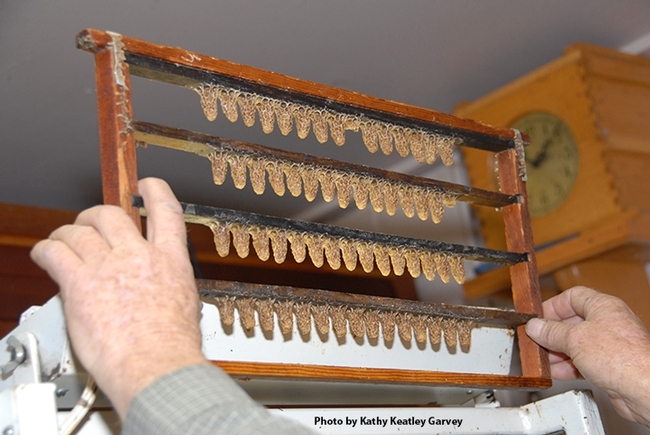 Most tree and row crops are finished blooming by now, but it is a good idea to learn about bee protection year-round. 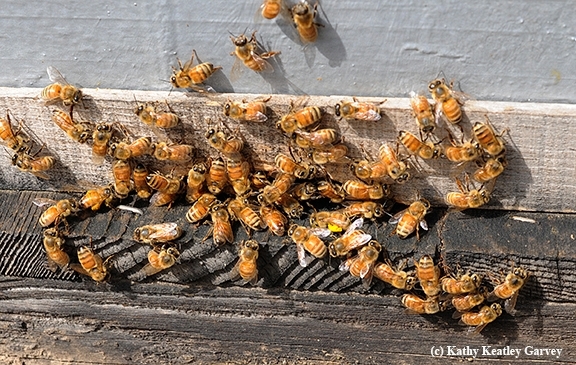 Visit these resources today to choose pesticides that are least toxic to bees and learn how you can help prevent bees from being harmed by pesticide applications. 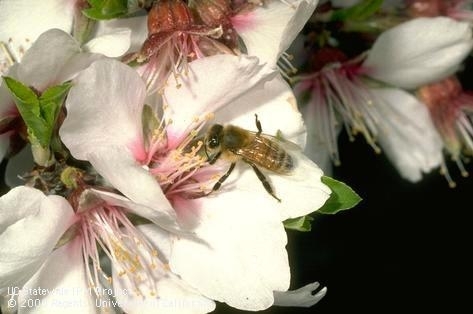 Honey bee on almond blossom. Photo by Jack Kelly Clark.